When you have a very active child. You must find things for s/he to do. Is there something your child likes to do? Whether it's drawing, reading, playing or watching tv. Your child is learning and developing their brain. Kids need to sit and be introduced to shows or movies. They will absorb what they see and develop the skills he/she needs to grow intellectually, socially and emotionally. It's that time when they start learning a language. A child will pronounce words by talking and mimicking what they hear. Do you want your child to sit and relax? We have the Delta Children Foam Snuggle Chair for your child! It's comfortable, lightweight and easy to pick up. Your child can sit to read and watch tv in their room, like a grown up. 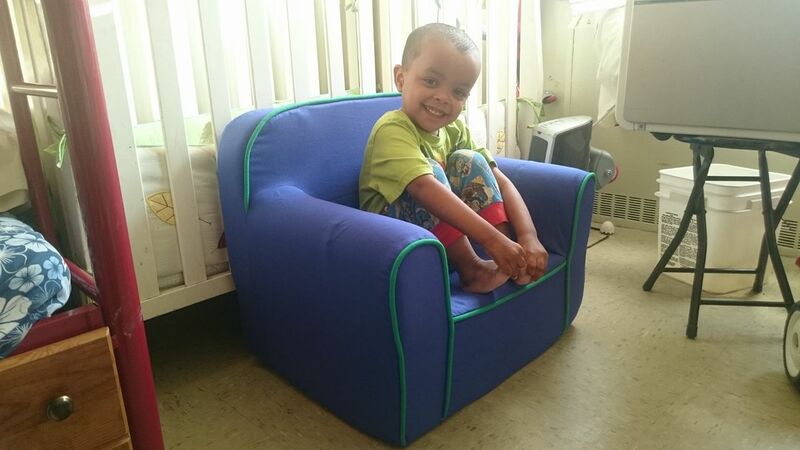 The Delta Children Foam Snuggle Chair comes available, in colors blue/green and pink/white. The retail price for the chair is $59.99. You can buy the chair at Walmart.com. My son was excited when he saw the Delta Children Foam Snuggle Chair in his room. He sat, got up and sat down again. He did this a few times and laughed. I was happy to see him enjoy his chair. 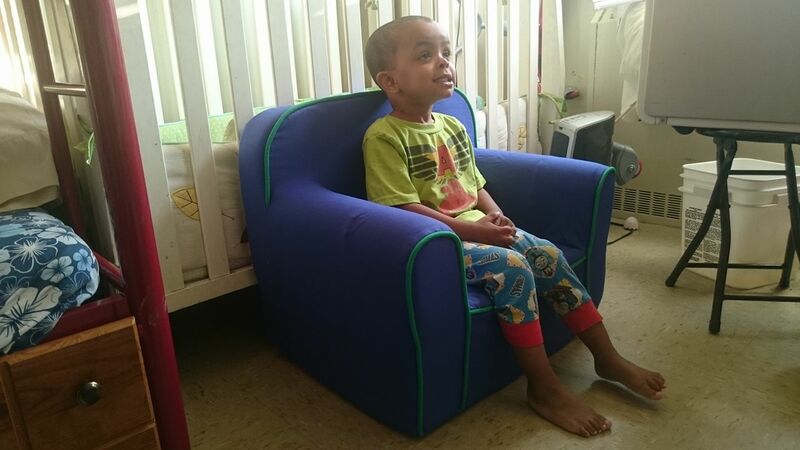 Davin watched cartoons and was able to sit in his chair without moving about the apartment. The chair kept him relaxed. The Delta Children Foam Snuggle Chair is great! I am very pleased with the chair and recommend this chair for your child. It's easy to move around the house. All my three children sit on it. It is a durable chair as it holds each one of their weight. My boy's ages are 8, 6 and 3. I love Walmart for their low prices. Don't forget to stop by their website. You can purchase buy this awesome chair at Walmart.com. Your kid will be happy you did! I always thought that those little chairs were so cute. I don't know if it make my child relax but at least he would have fun climbing on his own stuff instead of ours LOL. I love that little chair. My kids always liked having their own personal space to unwind and relax. My kids use to have little chair like this when they were very young. It was a great way to give them thier own space during movie time. Over the years we have had many of these kinds of chairs in our house. The kids are a little too big for them now but they sure did love them when they were small that's for sure. They had on in their rooms next to a basket of books so they could curl up and relax. Oh wow looks like a great idea, I am so glad this works to calm your child down. Sometimes they can get overwhelmed just like us adults can! We have a chair for our daughter too. Great tips on getting to relax. My girls love their chairs. They carry them all over the house! My daughter is a huge fan of different chairs. Whenever she sees a chair display in a store, she has to try them out. We have been looking a perfect chair for her for a long time but haven't found "the one" yet. 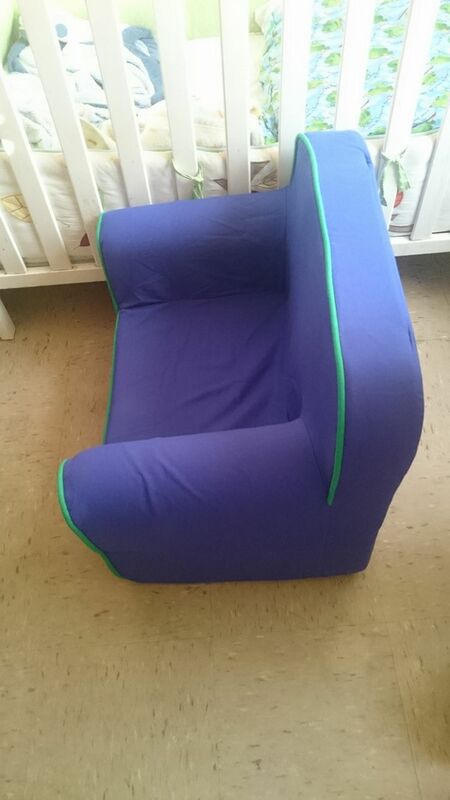 I'm glad that this chair has a removable and machine washable cover, it's a must for kid's chairs. We have a similar chair for each of our boys. They love the chair because it's super comfy and a perfect spot to read their books! My daughter has a soft chair from Pottery Barn and has always loved it. She might be getting a little big for it now, but it's so cute, I dont wanna give it away. Lol. Wow, that chair really looks comfortable. I am so sure that my son will love it. That looks like a real comfortable chair that could any child to relax! That chair looks so comfy. I like to put my kids in a fluffy chair or bean bag and turn on something soothing for them to get them to calm down. What a cute smile he has! This looks like a fun chair for children and it really looks like he likes it. My boys each used to have a chair like this. They spent lots of time on it both watching tv or video games as well as book reading time. I miss those little chairs. I love that chair, it's so cute! My son is very active and he loves to color and read books so this chair would be great for him.